So, I finished the build of my printer in november, but ever since then I have been struggling with a very specific issue, which is my x axis slightly skipping. 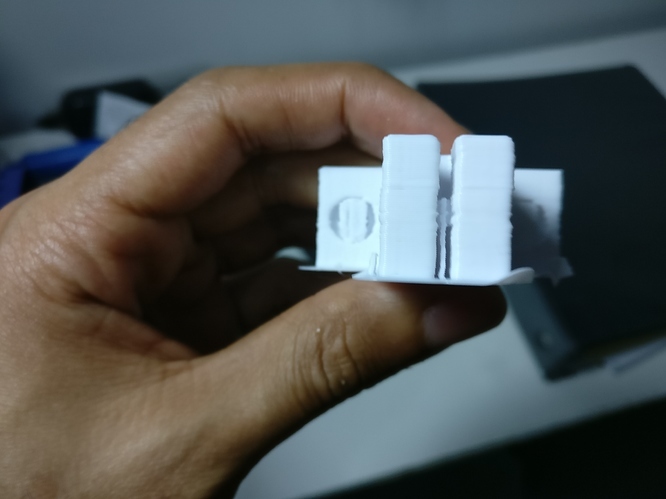 The X axis works properly, without any issues, but when I am printing, sometimes the X axis just skips one steps for a random amount of layers and then goes back to the original position. This can happen many times during a print. From what I have noticed, the issue only happens on the X axis and does not depend on the shape of the model. In this image, you are basically looking at it frontwards, so the sides would be in the X directions and the holes would be in the Y direction. 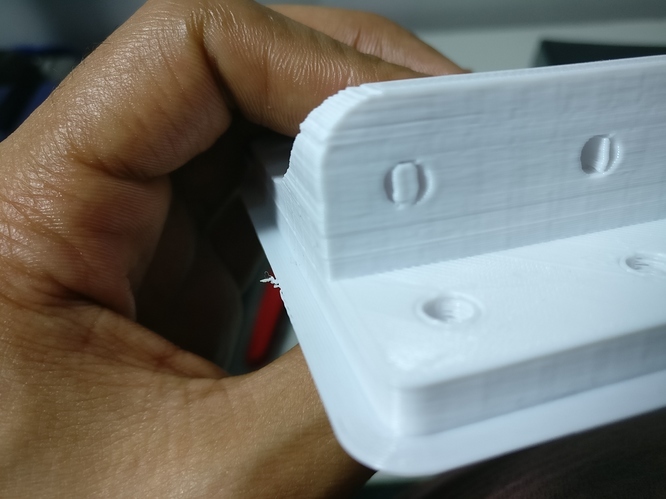 As you can see, on the sides of the part there is very clear X axis shifting. In this image you can see the same part as in image two but from a different angle. As you can see, there is no skipping on the Y axis but there is a lot of it in the X. In this image, the front would be the Y axis and the sides would be the X axis. In this image you can also see filament not being completely straight due to the random skipping. The two towers look as if they had blobs along their sides due to the skipped steps. So, As you can see, I have tried everything that I can think of to eliminate the issue, yet it still persists. The only thing I have not tried yet is to switch all the pins of the X axis motor to the extruder 2 position and connect the stepper driver and motor to it. If anyone has any suggestions on how I can fix this issue let me know, this is the only issue that is keeping my FT5 R2 from printing perfectly at this point. I assume you mean that it's plenty tight, but how tight? Does it strum almost like a guitar string? I had some similar issues that were fixed by increasing the tension on the X. What voltage do you have these set at? I think mine are just slightly above the setting recommended in the build manual for the R2. What is this set to? -The belt tensioning of the X axis is just right, sounds almost like a bass guitar string when you strum it. It is tensioned to about the same tension as both of my Y axis ones, which are working well now. -The voltage of my stepper driver is about 0.800V. For my default max acceleration I have it at 1000, 1000, 200, 10000, default acceleration at 1000, and default travel acceleration at 1500. -For feed speeds, my maximum is at 300, 300, 5, 25. The acceleration and feed speed settings were taken straight from the Marlin firmware, some of those settings were suggested by Dustin Corbin, the man himself. 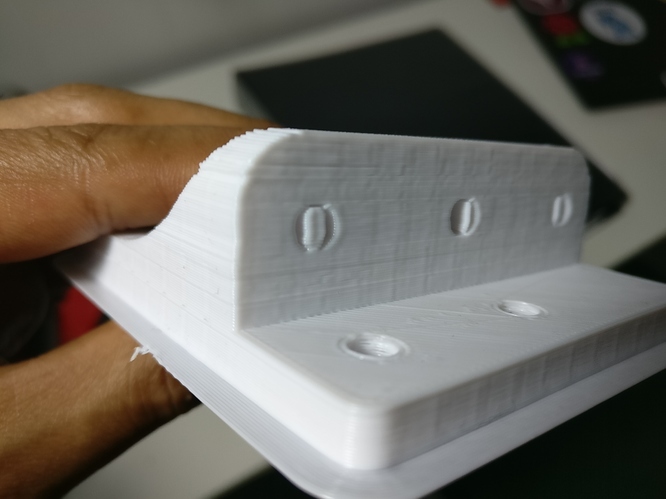 On the slicer settings, I tend to keep my printing speeds at about 50mm/s or below that. for the FT5 R2 I believe the Y axis driver should be tuned to about 1.2V or something like that... I know it should be higher since you have to drive 2 motors... might be worth trying (even though you said that the X axis is the problem). I personally have acceleration values a little lower, like 500-800 for X & Y (can't remember exactly which I have), and jerk is maybe 5 for X & Y.
Yeah the Y axis for mines is about 1.2V like the manual said, sorry that I missed that fact. All other motors are at about 0.800v including the X axis, which is the axis with trouble. I will try to lower my acceleration to about what you have it at and change my jerk settings and see how it does. Thank you for youe help. I will let you know what happens. Try moving the heat block on the hotend side to side. If you do not have the set screw set tight enough, it will allow the nozzle to swing a bit side to side causing this issue. I do not think it is a skipped step, as they do not return back to normal afterward.